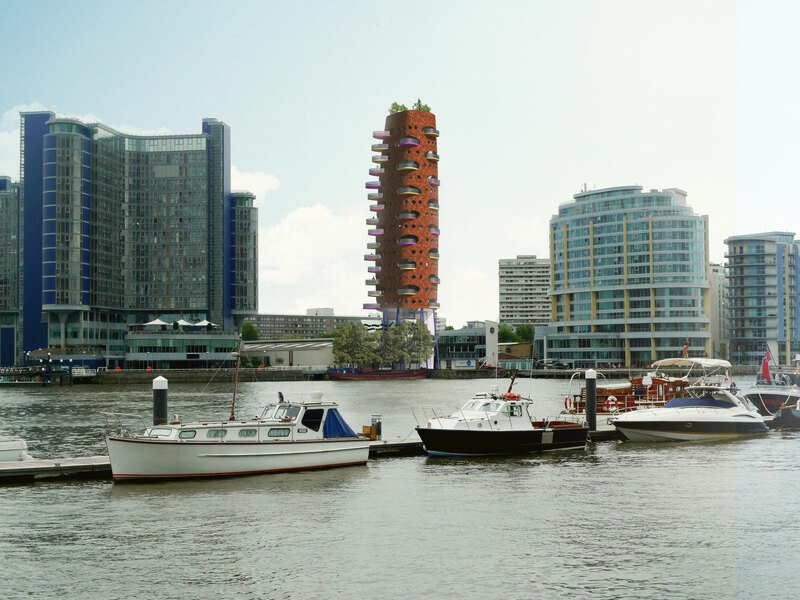 Designed in collaboration with aLL Design; this residential tower is intended to fill the unsightly gap on London’s south bank skyline and provide wonderful views across the river Thames. 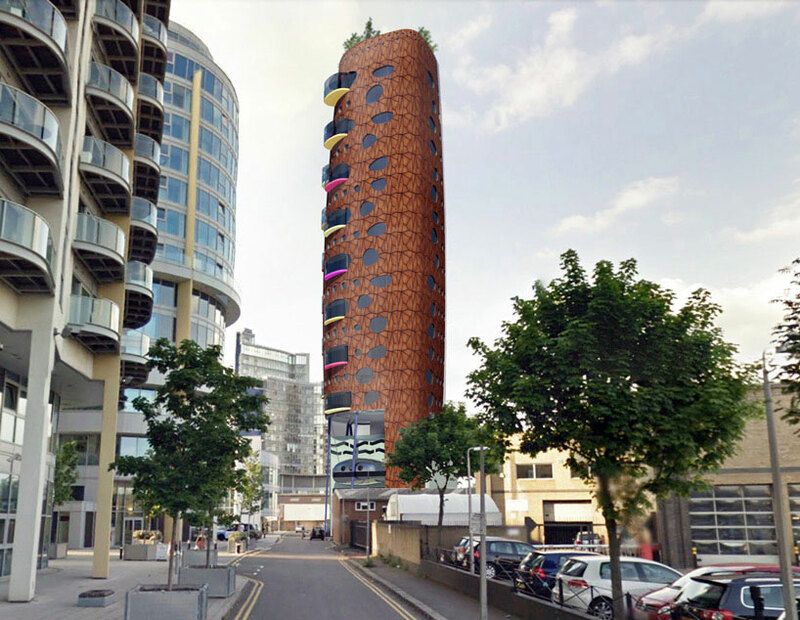 Heliport Heights will rise 15 storeys above the existing four-storey building using stilts, in terms of structural engineering design, a first for London, allowing existing tenants to remain in-situ in Heliport House below. The existing building is to be be refurbished, re-clad and brought up to date. The proposal offers 14 apartments all with two large balconies and river views. 13 apartments will each occupy an entire floor plate and the top unit will be a duplex with large roof terrace. 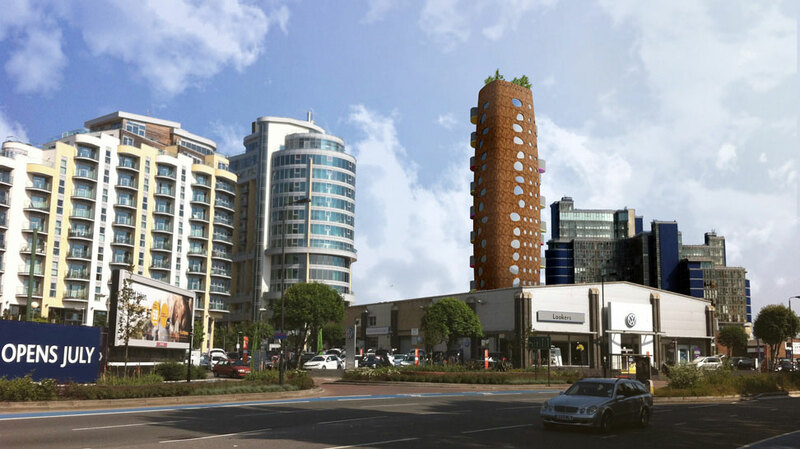 It is intended that this building will become a new landmark, by helping to create a more liveable and attractive neighbourhood. It features an art gallery in the lobby which we hope to become a destination in its own right and the unusual design aims to foster enthusiasm for architecture. The design uses centralised heat pumps to efficiently provide heating and hot water to the development with zero on site emissions and the option of connecting to a future heat network.